We all know by now that the nonprofit sector has its share of scams committed in the name of charity, and it is for this reason that we should all be welcoming of a healthy regulatory environment. Unfortunately, this also may cause issues for some of the more informal and inspired efforts in our sector which embrace a lot of plain old community spirit and voluntarism. The interaction between regulation and inspiration at the community level is something many regulators take care with, not wanting to dun when it’s not needed, but action on the ground can alert regulators when a gate is too far open, and the Pink Ladies, in this case, may lead us there. 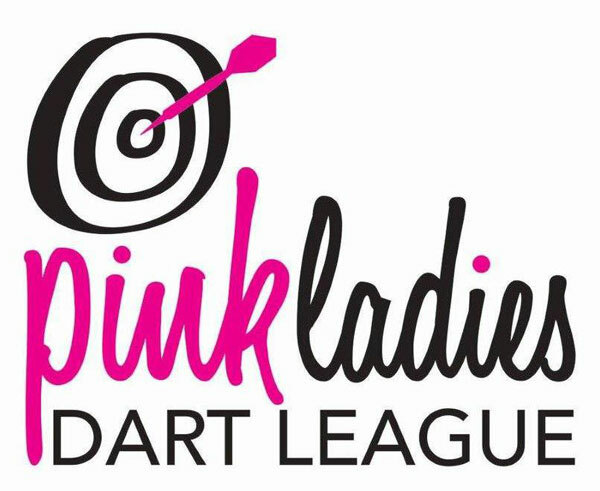 Southeastern South Dakota was suddenly captivated by a charitable raffle that had been going on for months, conducted by the Southeast Area Pink Ladies darts club to benefit cancer survivors in the area. In addition to a $321,000 grand prize and an unknown amount going to charitable purposes, the raffle exposed the lax regulation of charitable gaming in the state of South Dakota. It also raises prickly federal tax questions that likely require experts to analyze. A bar in Hudson, South Dakota, hosted the Pink Ladies’ “Chase the Queen,” a raffle based on the “Chase the Ace” model developed in Canada. Raffle tickets were sold, with drawings held weekly until the grand prize was awarded. The winner each week had the opportunity to draw a card from a deck of playing cards. If the winner drew the queen of diamonds, the winner would win the progressive jackpot. If they did not draw the queen, they would receive a consolation prize of 10 percent of the raffle proceeds that week. The card drawn that week would then be removed from the deck, thereby increasing the odds of the winning card being drawn the following week—and increasing the interest in entering next week’s raffle. The final week alone saw more than $100,000 in raffle ticket sales in the small town. South Dakota generally prohibits gambling, though there are significant exceptions, including casinos operating in Deadwood and on the state’s nine American Indian reservations. In addition, the state licenses lottery games, including video poker terminals and line games, to be operated by private businesses that are regulated as to location and sharing gross revenue with the state. Intriguingly, state law does not require a charity operating a raffle to be a nonprofit corporation registered in the state. Any unincorporated group can represent itself as a charity and conduct a raffle or lottery. Based on internet searches of the South Dakota Secretary of State’s website and the Internal Revenue Service (IRS) website conducted on April 3, 2019, the Southeast South Dakota Pink Ladies are not registered as a South Dakota corporation and they are not recognized as a 501c3 charity by the IRS. For state purposes, however, this does not matter as it applies to operating charitable gaming activities like raffles. Charitable raffles held in South Dakota are required to be registered either with the county where the raffle is to be held or, in the case where tickets are sold in multiple counties, with the state Secretary of State’s office. Counties maintain their own lists, but the Secretary of State’s list is published online, searchable by year. It should be noted that registration is notification and not an application for a permit or permission. If a person or group violates the law in the conduct of a charitable raffle or lottery, the offense is classified as a class-2 misdemeanor, punishable by a maximum of 30 days in county jail and a $500 fine. According to the South Dakota Attorney General’s office, it is within the sole discretion of county-level state’s attorneys (county prosecutors) to decide whether to investigate or prosecute suspected offenses in this area. Class-2 misdemeanors are too minor to warrant attention from the Attorney General’s office. The lenient punishments and locally based enforcement mean that few violations are ever even pursued, according to the state attorney general’s office. The Pink Ladies may have violated one provision of the state statute in operating the “Chase the Queen” raffle. The law (SDCL 22-25-25(5A)) requires that “[t]he actual value of any lottery prize is stated before any chances for the lottery are sold.” The progressive nature of “Chase the Ace” games like that operated by the Pink Ladies, and the inexact value of the weekly 10 percent consolation prizes, appear to violate this specific statutory provision. Another complicating factor is reporting of the transactions to the IRS. First, most people don’t realize that raffle tickets are not considered charitable contributions because the IRS has ruled that “the opportunity to win a prize” is something of value received in exchange for the raffle payment. This makes the transaction a purchase rather than a gift. Qualifying gifts may be deductible as charitable gifts, but purchases are not. The second IRS consideration is reporting winners and winning amounts to the IRS, as gambling winnings as modest as $600 may require the filing of a W2-G by the entity paying the prize. It’s unclear how an unincorporated entity, including a charity lacking IRS tax exempt recognition, would file such required paperwork. Regardless, anyone winning significant amounts of cash—even in a charitable raffle—should expect to pay federal income tax on their winnings. Although the raffle model assumes that 50 percent of gross revenues will go to the charitable cause identified in the raffle promotions, it’s not clear whether this is the case for Southeast Pink Ladies. South Dakota requires no annual charity financial filings by nonprofit corporations, much less for unincorporated groups. Without IRS recognition as a 501c3 charity, the Pink Ladies are not required to file a Form 990 nonprofit information return than would disclose financial information related to the raffle and use of raffle proceeds. Further complicating the charitable picture, the charitable support being provided to cancer survivors by the Pink Ladies, since it’s not coming from a 501c3, is likely taxable as ordinary income to recipients. Once again, the Pink Ladies would be required to file Form 1099-MISC reports with the IRS and provide copies to recipients for their tax records. No doubt the Southeast Area Pink Ladies were well-intentioned and believed they were law-abiding when conducting their “Chase the Queen” events. Similarly, state statute assumes that charitable lotteries and raffles are conducted on a small scale by committed local volunteers for legitimate reasons. Even when this is true, many complexities in state and federal law may trip up the unknowing volunteer. Maybe reviewing your own state statute with an eye toward revising how such events are conducted and by whom may protect the Pink Ladies and other groups, such as your own, from unintentionally violating state and/or federal law.